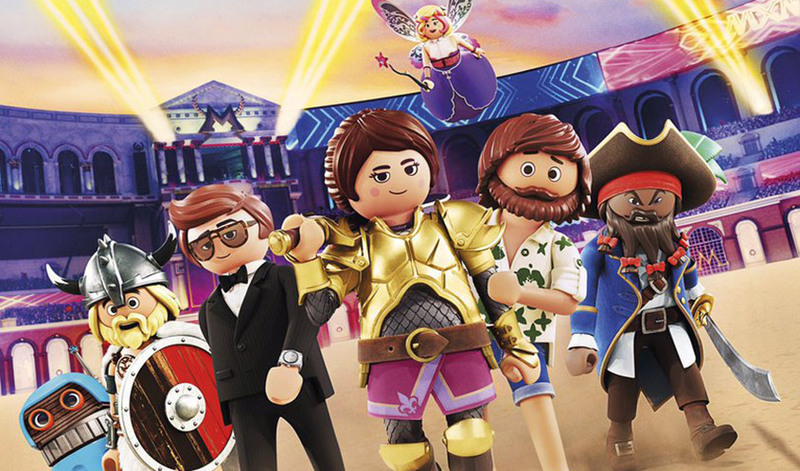 Earlier this month, we learned that STXfilms will release Playmobil: The Movie in the U.S. While there’s still no domestic release date or trailer, ON Kids and Family released a new international trailer packed with new footage and a slightly different cut from the UK version. Filmmaker Lino DiSalvo, a Disney vet who previously served as head of animation on Frozen, will appear as a guest on KFI AM 640 in Los Angeles tonight, in which he is expected to reveal the U.S. release date. Based on the iconic toys, Playmobil: The Movie is directed by DiSalvo, from a screenplay by Blaise Hemingway, Greg Erb, and Jason Oremland. The voice talent includes Daniel Radcliffe, Meghan Trainor, Kenan Thompson, Adam Lambert, Jim Gaffigan, Anya Taylor Joy, and Gabriel Bateman. The story follows a young boy (Bateman) who unexpectedly disappears into the magical, animated universe of PLAYMOBIL. It’s up to his older sister (Joy) to bring him home. The film features a score by Heitor Pereira (Despicable Me trilogy, Madagascar: Escape 2 Africa, The Smurfs movies, Minions) and four original songs, co-written by producer, musician, and songwriter Anne Preven.